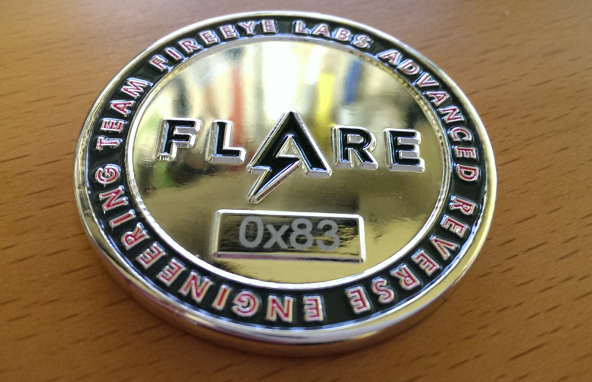 The FireEye Labs Advanced Reverse Engineering (FLARE) challenge was causing a bit of a buzz when it was announced and launched in early July. 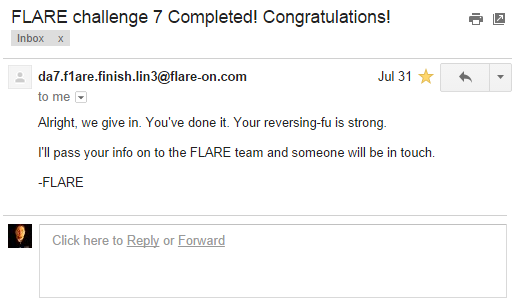 It read like a recruitment campaign for a new division within FireEye, but still a fun challenge to partake in. The challenge started ... and I was on-site at a client site for the week and forgot all about it. Busy under the pressure of releasing the new Dissecting the Hack book, the challenge went to the back of my mind until the 24th of July. I was facing a pretty hard-hitting bit of writer's block and frustration. I agreed to let myself have a break to do the challenge for one week before getting back to my commitments. After the challenge finished, and answers and methods started floating around (notably CodeAndSec's), I realized that many of my tactics were completely different from others. I'm sure that's to be expected from this field; many of my methods were from working in an environment without Internet access and without an expert on-call for answers. I'm also fully from a forensics background (hex editors and data structures and file parsers, etc), and work in commercial incident response with RSA, so I'd be sure to tackle problems different from someone who had a pentesting or vuln discovery background. Although the challenge started in early July, it ran up until 15 September. There was an unspoken moratorium on answers/solutions while the challenge ran, but now that the samples are all freely available from their website, some are coming forth with how they completed them. Based on this output from the file, I can see first of all that it was built from .NET 2.0 (based on the mscorlib import). That'll be important later to determine what tool to analyze the file in; IDA Pro is not the most conducive tool for .NET applications. Without any clue of what to do with the challenge, or what I'm actually looking for, I open it up for analysis with Red Gate .NET Reflector. Math is a good sign. Looking at this, I see three distinct string encoding routines, each producing their own string variable. The first is a definite byte-by-byte encoding, the second appears to be a byte-swap, and the third is a simple XOR. This final value is then applied to the this.lbl_title.Text. 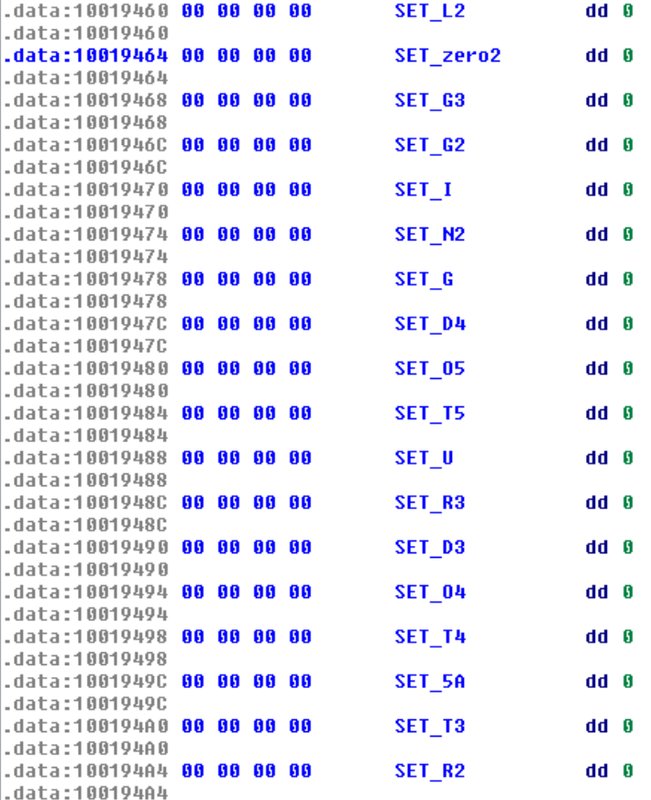 Opening it up in a hex editor (and then a text editor) showed that there was no picture data, just a set of PHP code. I was actually disappointed by this. I was hoping it'd be PHP appended to a PNG to at least confuse the newbies, but this was very apparent. This was a pretty easy one that was done in 15 minutes. The email was shot off on 24 July 14 at 2138 and I received #3 immediately after. 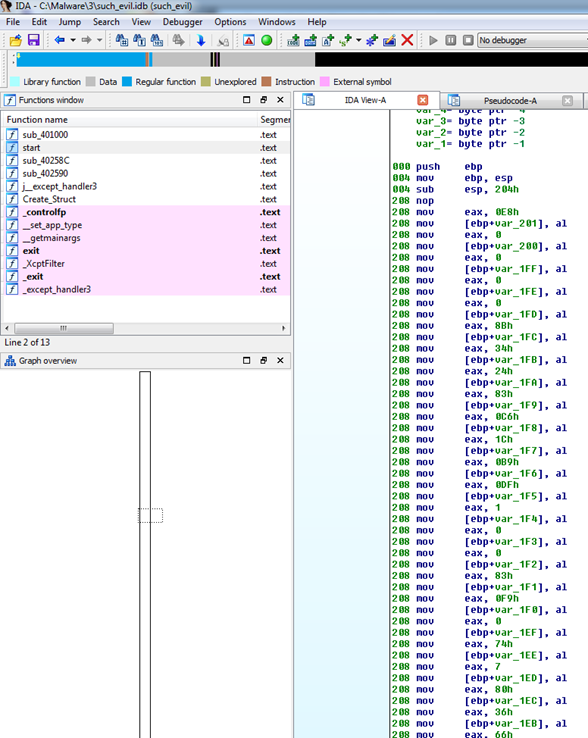 Opening it up for static analysis with IDA Pro showed that it wouldn't be possible. 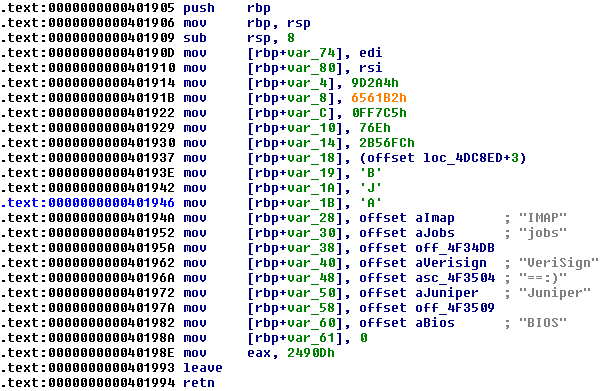 There is simply a large routine that writes new shellcode to memory, one byte at a time, and then calls it. 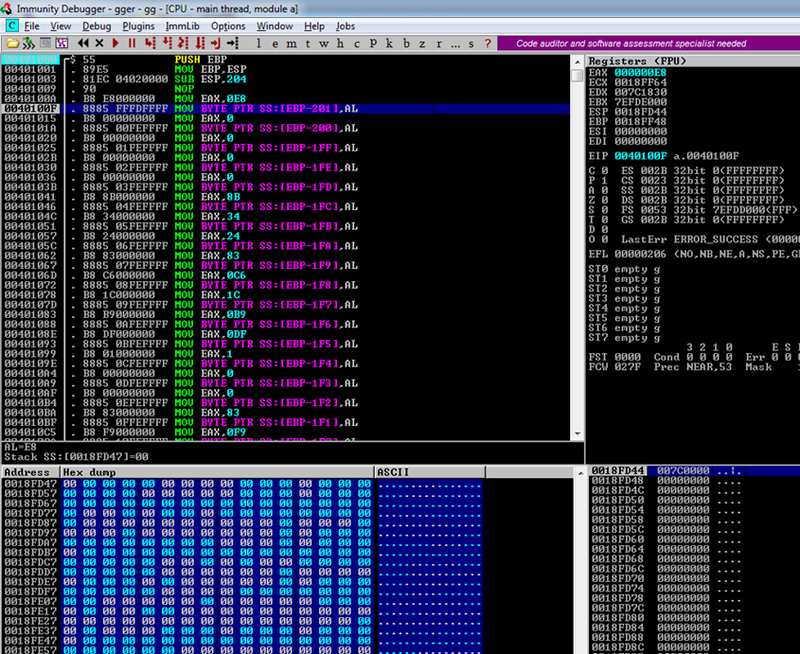 I dumped IDA and switched over to Immunity Debugger. 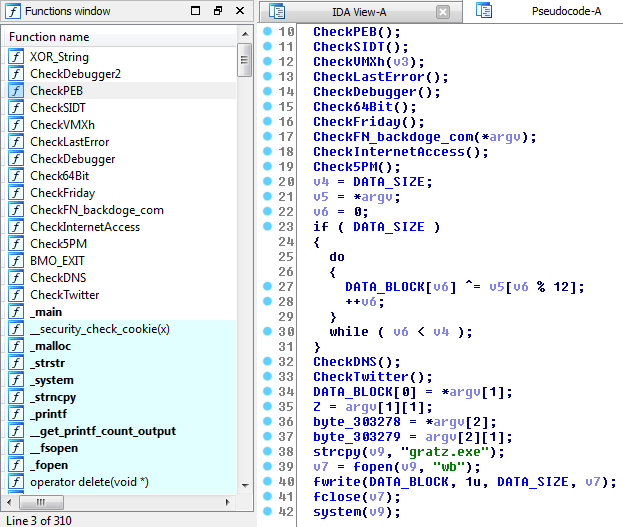 I find its debugger much easier to use than IDA's (the latter of which I'm slowly learning to use). Additional text is also seen here: hus\00, hsaurhnopa. 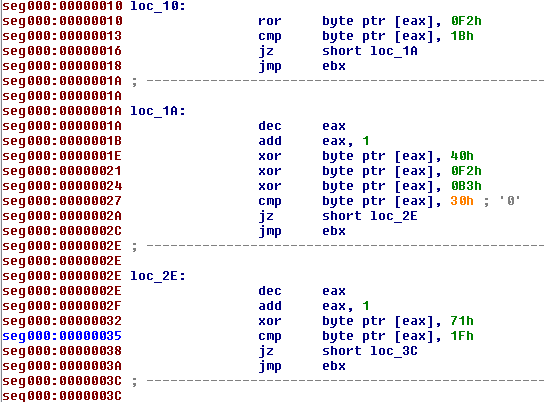 In understanding shellcode, these are attempts to push (0x68 "h") a string onto the stack in four-byte segments. And, in the next part of code, we see that's exactly what happened. This string ended up becoming an XOR key for the next round of decoding: "nopasaurus"
After decoding we see another block: "get ready to get nop'ed so damn hard in the paint". The paint? The pain? The ... I don't know. However, there's more code! By following the rest, we see the the next block contains the error alert window that was shown at the very beginning. 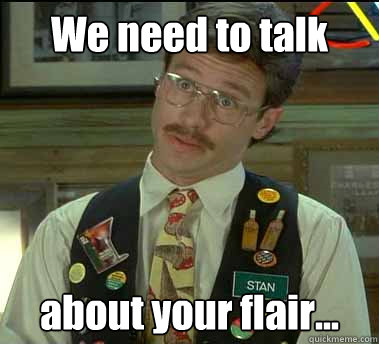 14 minutes after starting, an email was fired off to such.5h311010101@flare-on.com on 24 July 14 at 2152. Things are starting to pick up now. 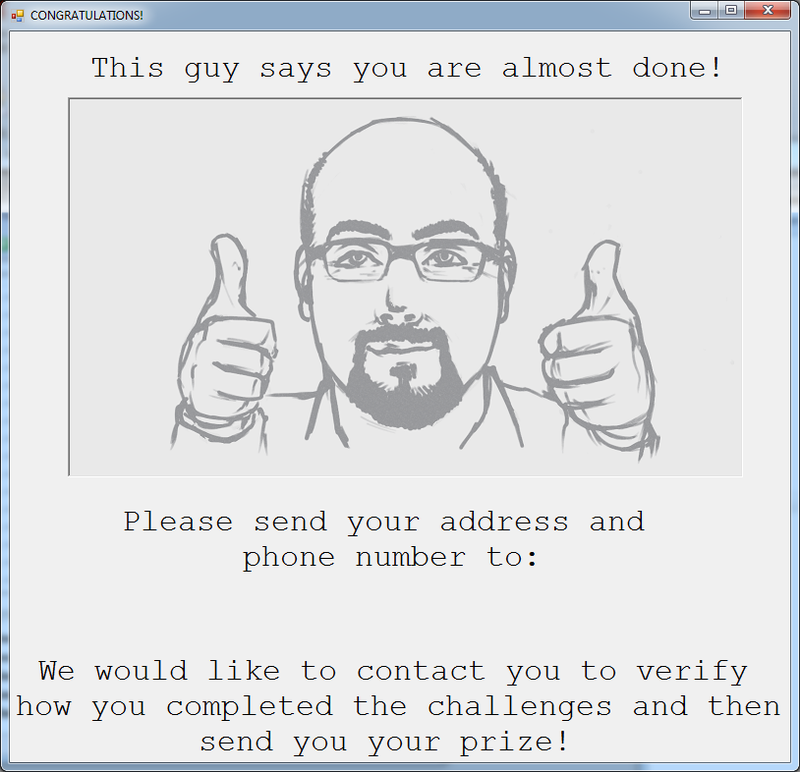 Challenge 4 is a PDF named "APT9001.pdf". Obviously a spoof on the APT1 report, I started to wonder if there was a key in this name. Like it's using Trojan 9002 ... minus one? The file is obviously a PDF, with an older format. For a quick triage I used PDFStreamDumper, a GUI tool or PDF analysis that I often try not to use (it's no PDFubar). It failed to show any data from the PDF. Using the generic encryption brute forcer, the file will open to display some objects, but not the ones we really care about. .. removed for brevity .. 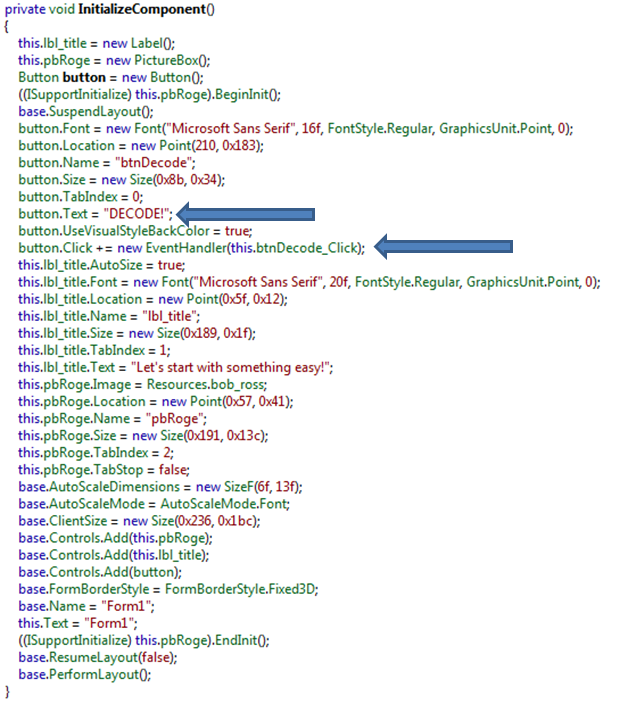 This is an ugly block of code (some lines were removed as they conflicted with Blogger formatting). There are a lot of long, randomly named variables, but this is of little consequence. 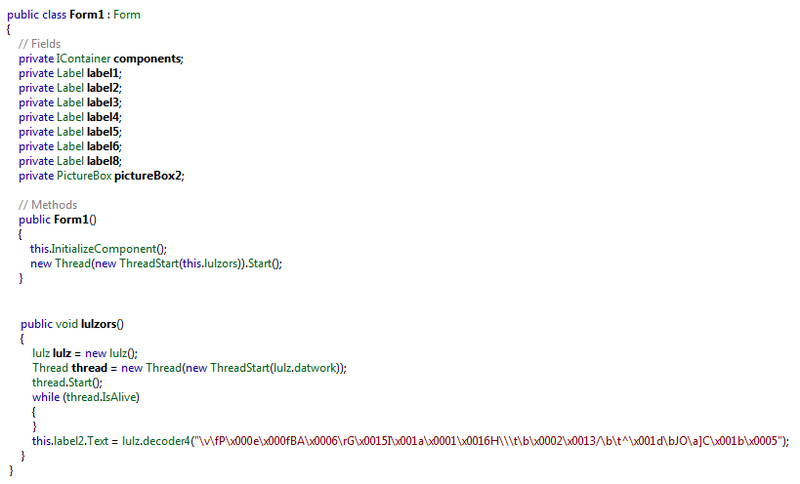 Using Notepad++ I just find/replace all of them get get code that looks like this. 00000832   42 68 4D 65 73 73 54 50  FF 54 24 2C 57 68 44 21   BhMessTPÿT$,WhD! Just with visual analysis, I see "LoadLibraryA" pop out, as well as "MessageBoxA" and "OWNED!!!". With this block of shellcode, I use shellcode2exe.py to wrap it into an executable and launch it in Immunity debugger. Notably, in execution, unsequenced DWORDs are XOR to form the parts of an email that is assembled to: wa1ch.d3m.spl01ts@flare-on.com. This one took a good while longer than the previous ones. At 2348, almost two hours later after going down various rabbit holes of the exploit and fixing the PDF and putting my kids to sleep very late, I sent off the email... then promptly went to bed. By following one of these routines, for the letter A, I see a lot of global boolean values being checked to eventually toggle a new one on or off. Just through deduction, I realize that the booleans being set to true (1) are only set within that respective keystroke and are checked in others, suggesting that some keys need to be typed before others for that key to be toggled on. When initially pulling out the email I noticed one issue. The email was l`gging.Ur.5tr0ke5. There shouldn't be an apostrophe there, so I checked my code again. When I started xref'ing the values to double check I realized that the apostrophe keystroke was used to set the letter "0". The email was sent off that morning of 25 July at 0923 after spending about 2 hours on it. Then, I went to work. They warned me that #6 was told to be the most difficult challenge of the entire series, with every previous challenge just to separate the chaff. And, they weren't wrong. Nice! A 64-bit Linux ELF. I've had experience with only a handful of ELFs, previously doing a few Phalanx, Tiny Shell, ChikDOS, and a difficult sample for my RSA interview. The 64-bit proved a bit of a hurdle as it meant I couldn't decompile any of the functions (at the time I was using 6.5; 6.6 had just recently been introduced with that feature). Challenge 6 is hard. It's tedious. There are no short cuts; you would simply have to methodically step through thousands of lines of code and trace variables carefully. However, everyone tried initially to shortcut it. This would require debugging to get anywhere, and I am not particularly fond of IDA Pro's debugger. I'm quite fond of Immunity/Olly and right clicking on arbitrary values to show them in hex, and to see comparisons live with actual address names instead of "data[ebp+410]", but I digress. There is no Immunity/Olly available for Linux, but there is Evan's Debugger (EDB). That afternoon I sat down and ran through the sample. The first thing to note was that it required command line arguments, but didn't tell you how many or what they were. At this point, I decide to force myself to go the Linux route. 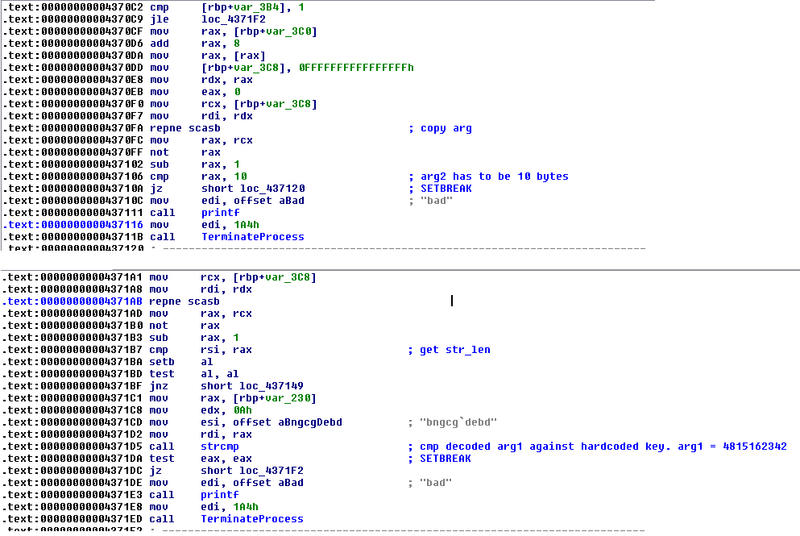 Both coworkers were comfortable with IDA, and one had already created a set of FLIRT signatures to identify all of the statically linked routines. After an hour of learning to do the same he noted that there were very few routines resolved, so I went back to just forcing my way through. Hitting too many issues with EDB, with just not enough comfort with it, I switched back to IDA Pro. I used the remote debugger within IDA Pro to run the sample. I created a new Xubuntu VM and placed the malware sample and the IDA remote debugger app on the desktop, networked the two VMs together, and kicked it off. 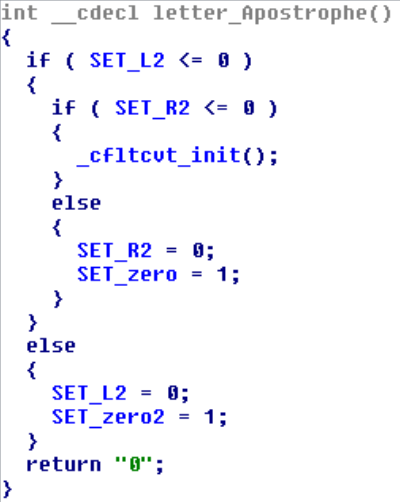 In the code above the sample checks the length of the first argument to make sure it's 10 bytes. It then XOR's the entire argument by 0x56 and checks the result against "bngcg`debd". Failing either causes a print of "bad" and TerminateProcess(). XOR'ing that value shows that arg1 must be set to "4815162342". I ran back and ran the sample with that as the argument. Good news, no more bad! Bad news... it "froze". The sample uses syscalls to throw a few wrenches at you. 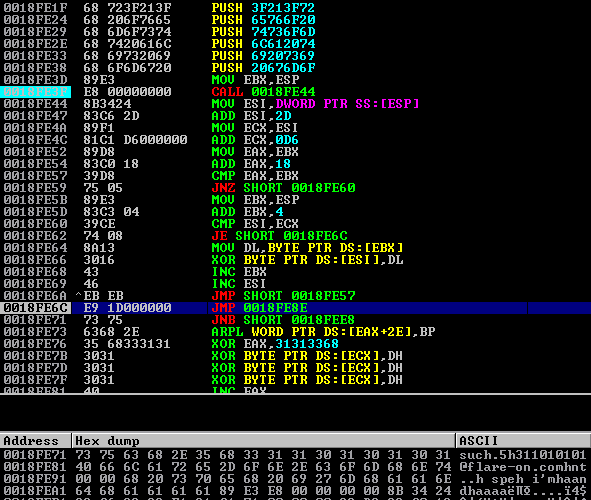 First, it makes a call to sys_ptrace to check for a debugger. 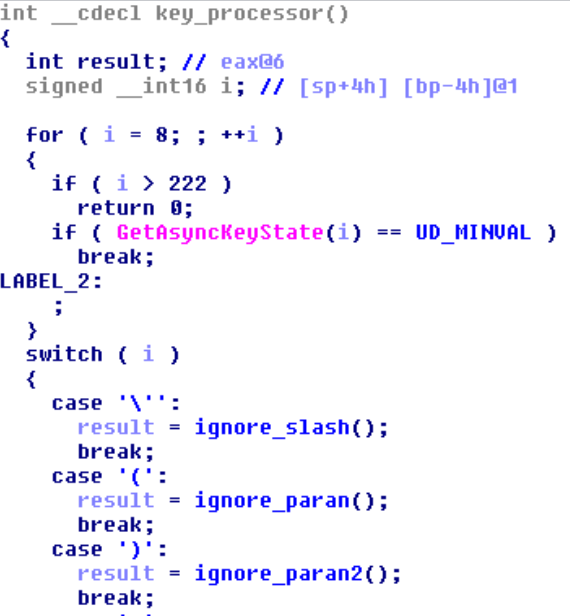 It then later (after verifying the first arg) calls sys_nanosleep to enter deep sleeps before further execution. The direct way around this was to just patch the bytes with a hex editor in the sample and reload the binary. After passing this check the sample returned up to the main function and went down a large rabbit hole of subroutines that all looked similar to the beginning. I stepped through most of it, trying to follow the flow of data. 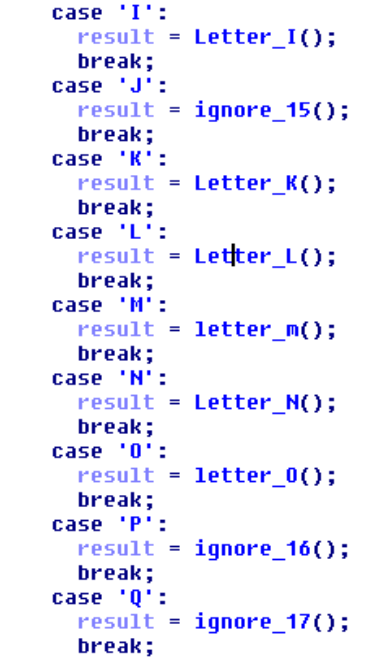 After a few dozen were called I noticed a block of what looked like Base64 data being written to memory. However, it was written out of sequence with large portions of null data mixed in. Let me stop to mention that at this point many hours have gone by. I had started on Friday afternoon, and this is now Sunday evening. This sample took a lot of time to debug properly and clear attention to where breakpoints should be placed. I neglected to do much of that, so there were many hours of wasted work. And there is a LOT of stepping to do. It is now Monday. Eventually, I see an anonymous-looking subroutine call another, which called another, and another, all of which caused the program to stop if I stepped over them. At this point I was no longer following the data, but sit hitting stepping until I saw interesting instructions... and then I saw call rdx. 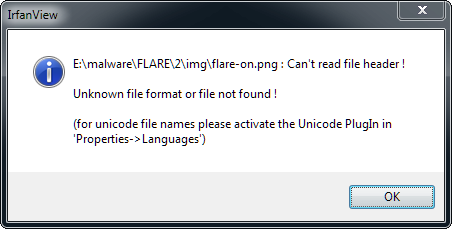 Too late, I had F8'd over it and the program stopped. The day is growing long and I grow tired. I restarted and got to that point again and looked around. 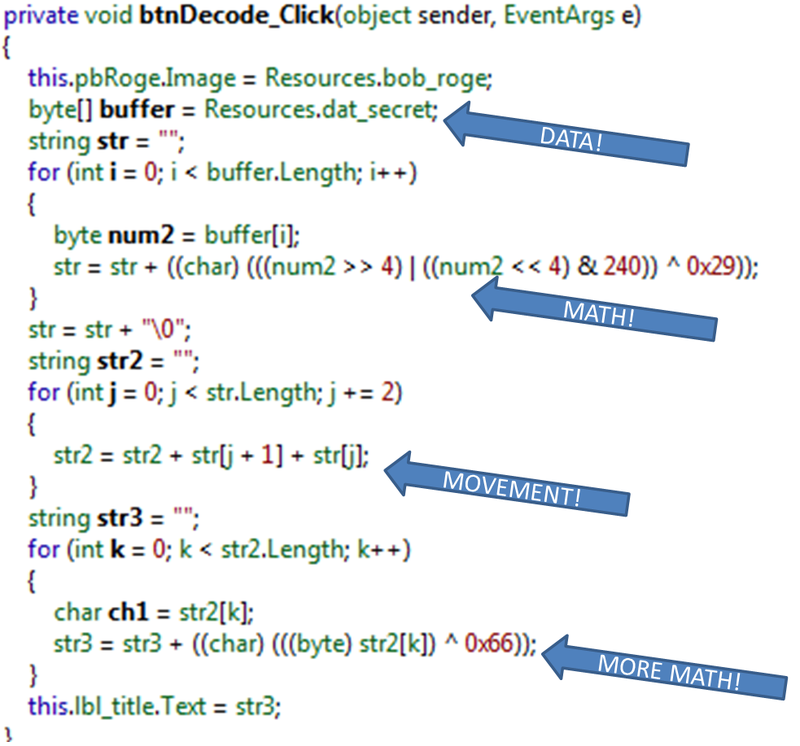 The large block of Base64 data was completed and was decoded in memory. The sample them called into that code for more instructions. Following this, I was disheartened to see the results. 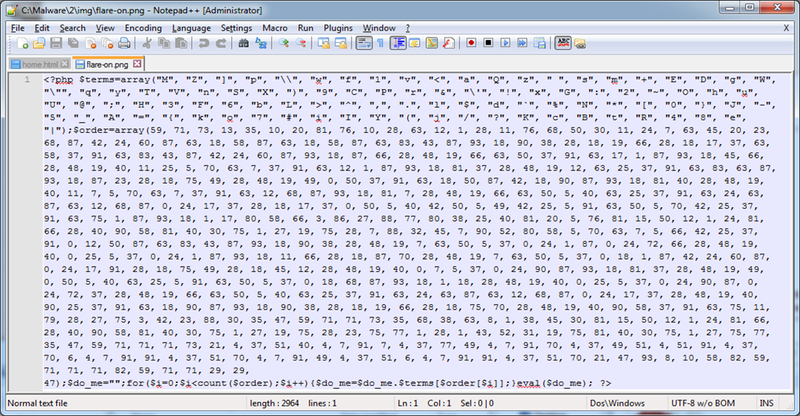 Over 30 individual encoding routines, each checking a respective character of command line arg2. I quickly write up decoders for the first few in Python but then hit a limit with type casting in Python. C will let you do operations like (0x40 ^ 0xBB + 0xF1) and keep the result within a single byte. Python won't easily. Frustrated at the level of effort still ahead of me, I crash and go to bed. Now THAT is ghetto reversing ... Slowly the letters worked their way out and, at 00:26 on 29 July, I had the answer of l1nhax.hurt.u5.a1l@flare-on.com. Four and a half days of analysis ... I submit and crash in bed. This is it, the final challenge. I had two days left to wrap this up, and I quickly woke up to jump at it. Nothing out of the ordinary. 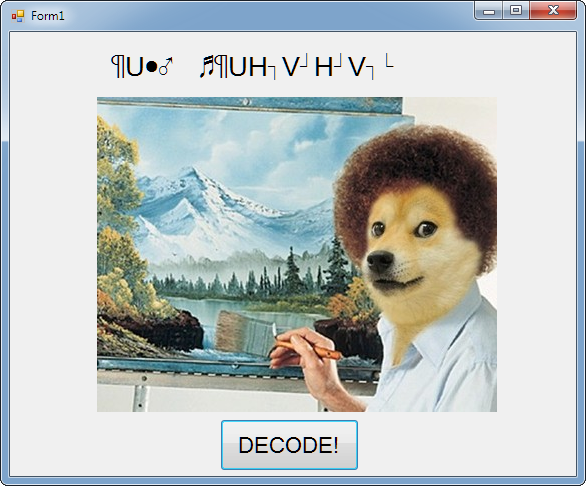 I open the sample expecting horrendous amounts of encoding... and was surprised. 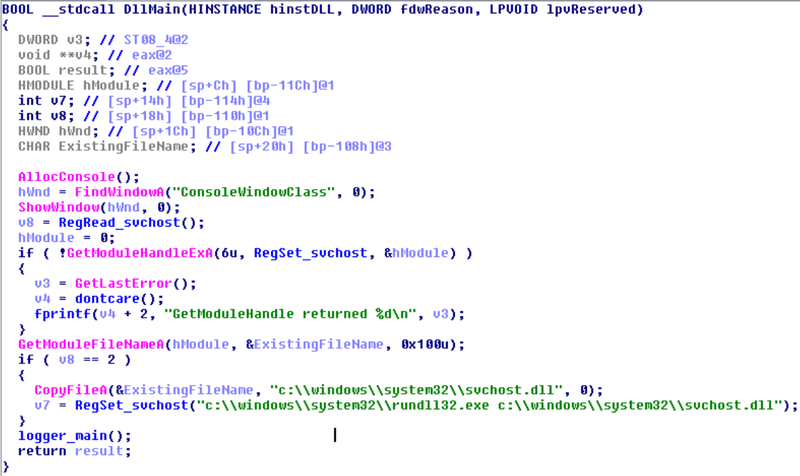 The malware reversed very easily; there was a limited number of subroutines, the code was clean, and everything made sense. The challenge was a bit more insidious. 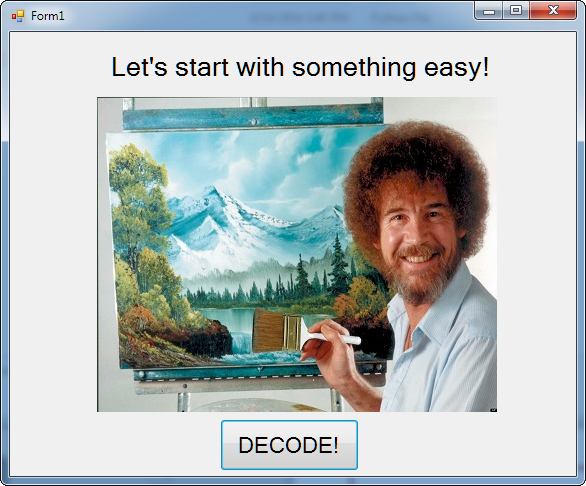 Inside the executable is an encoded executable. You can see it. As the program runs it performs various checks against the system, such as "is the system 64bit?". If it checks, it XOR decodes the data with one key. If it doesn't, it uses another key. 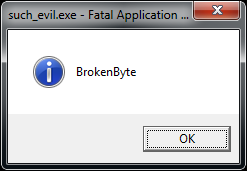 After a dozen checks, you have an executable that you can run. The problem is determining which code path will get you the final executable. After applying the "MZ" and "PE", it became a legitimate executable! I had seen this guy being spread around Twitter by others finishing up, so I knew I was close. Seeing the .NET 2.0 here, I load the sample up in .NET Reflector for analysis. The main Form1 function contains no overtly weird data for this form. There's no hidden buttons but not all labels are accounted for in the output. There are 7 labels (1-8, 7 is missing) and all are displayed except 2. Label2.text is missing from the form. The first thing I noticed was the creation of an email in datwork(), where obfuscated fields are used to create the recipient, subject, and body. We'll come back to that. That sounds like it! Beaten, and exhausted, I shoot the final email off at 1750 on 31 July, with just over an hour before my personal deadline. Two and a half days were spent on this last challenge. I receive my confirmation two minutes later and go open a bottle of whisky. Thanks you for reading, and I hope this helps anyone else in the field! Impressive. will like to be like you when i grow up.